According to the historical books “Shiraz” is one of the cities which had arisen and flourished after the Islamic conquest in the arms of the timeless Islamic civilization, and then it became the capital of Persia due to its geographical location and strategically status. Shiraz was the capital of Persia and it is still to this day. 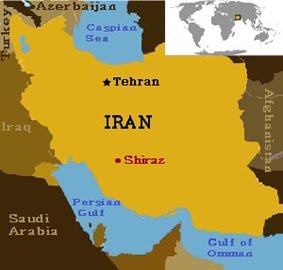 The word “Shiraz” means “cave of lion”; because it was absorbing productions from the rest of the country and nothing was exporting from Shiraz at all. When the army of Muslims arrived to Persia they encamped and established a military camp here till they conquered “Estakhr” city and the entire region; declaring the place sanctity the Muslims built “Shiraz” on that place. It is a city with great magnitude, in good ways, the length of about three miles, which is related to construction, not fences it or not building markets, a deep armies and the first war and government offices, levies, and people drink from wells. End of quote. According to “Ma’jam-ul-Buldaan” (Dictionary of the countries) Shiraz is the best example of Islamic architecture. It was said that Shiraz took architecture for first time by “Mohammad bin Qasim ibn Aqeel, cousin of Hajjaj bin Yousuf”. So surely Shiraz was the proud place and the city which was the hub of high Islamic Sciences (Uloom) and a center for the patrons in the first centuries of the history of the Islamic nation; as it became a breeding ground for Islamic ideas and different Islamic schools of thought, why not?! It was a city which was built by a Muslim prince and Muslims’ army encamped here. It was the status of the all territories which held by Muslims in the early times. The person who pays attention towards the history of this city -and its history depends on flourish and degenerate of Muslims in Persia- he/she would come to know the people of Shiraz were the lovers of the Prophet Muhammad (peace be upon him), we can observe this love in their poems and books, it is also appeared that they had bias to the doctrine of Ahl-e-Hadeeth for a period of time. The historians in their histories and the owners of classifications of countries have mentioned “Shiraz” a lot and spoke on many aspects, mentioning the kings and stories of the civilizations that arose from “Shiraz” or came to it. They noted scientists, scholars, jurisprudents (Fuqahaa) and judges (Qudaat). Some of the authors singled out the scholars poets and Muhadditheen in specified categories where any reader would be surprised saying by the current language: The truthful Prophet said truth that if Eeman goes to the chandelier surely it would be addressed by some men of Persia. It was Shiraz where students of different kinds of science and subject were coming to get knowledge from the best known and most famous scholars; it was the centre of Islamic cultures and civilization. We will talk about the causes of degradation of Shiraz after the tenth century H.Q. Shiraz is “Shiraz”, the place has not altered not the soil changed? He was a great scholar, jurisprudent (faqeeh) and scholar (A’lim) of fundaments of Fiqh and historian, the Imam of his time in knowledge and piety. He got knowledge from many great personalities of his era like Abu Tayyib al-Tahir ibn Abdullah al-Tabari, Abu Abdullah Muhammad Bin Abdullah Al-Baidhawi and Abu Hatim Qazwini and others, Shaikh Abu Eshaq Shirazi instructed more than thirty years and issued fatwas about fifty years. He passed away in Baghdad in Jamad-ut-Thani 476 H.Q. He was a senior Muhaddeth (who collects and narrates the sayings of the holy prophet Muhammad PBUH); he was brilliant scholar and Thiqah (trustable for hadeeth). The Shaikh was appointed judge (Qadhi) in Sharqiya by Mutawakkel. He wrote about history. He had some students who narrated or heard from him such as Muhammad ibn Idris al-Shafi’i, Ismaeel bin Aliyya, Wakee bin Jarrah. A group of muhaddetheen narrated from him. Shaikh Ziadi departed from this world in 272, according al-Tabari. The Shaikh of ascetics in Persia and pivot of Tasawwof in his time. He was known the elder of scholars. Accompanied Ruim, Abu Abbas ibn Ataa and Tahir al-Maqdesi, and became their best so long. He passed away in Shiraz in 371 H.Q when he was 104 years old; Muslims, Jews and Christians participated in his funeral procession. He was one of the top Huffaz-ul-Hadeeth who narrated from Abu Bakr Ahmad ibn Ibrahim al-Ismailee, Abu Sahl Ahmed Asfra’ini and Abu Ahmad Muhammad Hafiz and other religious leaders from the Khorasan, Jabal (Montenegro) and Iraq. Abu Tahir bin Salmah, Abu al-Fadl ibn Abu Bakr Ghillan, Abu Bakr Zanjani and others. He was very eager to memorize the sayings of the holy prophet Muhammad صلی الله علیه وسلم very nicely. He lived in “Hamadan” for years, then came out to “Shiraz” in 404 H.Q and left this world to the Hereafter in 411 H.Q. This great Shaikh had a book in titles of people, as Ceroyh said. He traveled a lot for getting knowledge and narrated lots of ahadeeth. Ha’kem says: He was an ascetic and traveled a lot for collecting Aha’deeth, we received him in Naishabour in 338 H.Q where he stayed some years with us. I saw many books with him about Shoyoukh and Abwab (chapters); I saw Shu’bah and Thawri at that time. He made many trips to Iraq and the Levant (Shaam) and left to his own city “Shiraz” and became in their acceptance as an exemplary. He passed away there Sha’ban of 382 H.Q. The list of names of such great personalities in “Shiraz” is too long; only in the seventh century of the Islamic history we can see many names like Sayyid Qutb-ud-Din Muhammad al-Hassani, Hasan bin Ahmed al-Farsi, a Literator and grammarians of Arabic language; and poets associate to this city are more than one hundred, Moslehuddin Saadi Shirazi whose two books are well-known in Persian “Bustan” and “Golestan”, lived in this century as well. Abu Al-Hassan ibn Muhammad Shirazi, Abu Bashir, Amr ibn Uthman ibn Qanbar Al-Basri (Sibawayh), Hasan ibn al-Khateer known Abu Ali al-Farsi and dozens more scholars, Fuqaha, Muhaddetheen, poets, historians, literators and Sufis belonged to Shiraz. Thus series of appearance of scholars and elite poets on the ground continued till “Shiraz” was occupied by the Safavid dynasty in 909 of the Hijri lunar. Like other Iranian cities Shiraz did not remain safe from storms of Safavid’s dark destruction which rooted out the high rank civilization of Shiraz- after getting roots for centuries- in a few years, “Shiraz” became a breeding ground for refusal (Rafdh), Imamite Twelver Shi’ism, ignorance and academic backwardness after being a beacon of knowledge and guidance for many centuries. Yes, because the first thing which targeted by the Safavids in the Sunnis’ cities whether “Isfahan”, “Shiraz” or “Tabriz”, was knowledge, so they assassinated scholars and blocked the academic centers to enable themselves disseminate heresies and false myths and to proselytize Sunni Muslims. So there was not any fruit of the efforts of the kings who came after them such as Zandism, Afshariya and Qajariyeh who wanted to redress all these losses which made “Shiraz” wiped off the civilization as a whole and exchange people’s religion to the heresies and superstitions and decorated with flowery, but many great ulema and literators left Shiraz and traveled to distant lands, as Ameer Moeenuddin Husseini Shirazi al-Hanafi “, departed to the Uthmanic Caliphate and the famous poet Arfi Shirazi to India; ulema left the city and knowledge disappeared, the Sunnis traveled and sunna went with them, leaving only ignorance, bad traditions and innovations, where Appeared in recent centuries one of the largest movements hostile to Islam and supported by the European colonialism in the present era of this city, a movement Baabism/Bahaism, beyond from the pale of Islam because of the heretical teachings in their faith and worship. 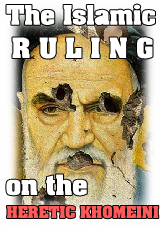 In fact the existence of this dangerous movement (Bahaism) was the result of Safavids’ barbaric actions which affected such cities like thunderbolt, the genocide of the Sunnis and division between Ummah and its past by false claims and false doctrines were the only consequence of Safavid movement in Iran. This entry was posted in Sunnah & Rafidi-Shia history of Iran, Sunni Persia's service to Islam, The Safavids. Bookmark the permalink.